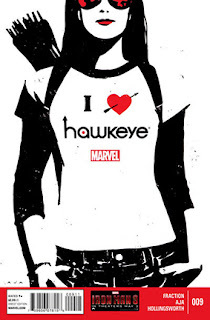 • PLOT SUMMARY: (W) Matt Fraction (A/CA) David Aja. More ladies, more problems. Featuring: The Girlfriend, the Work-Wife and the Ex-Wife. Plus the tracksuits are back and aim to kill. Good luck, Hawkeye.